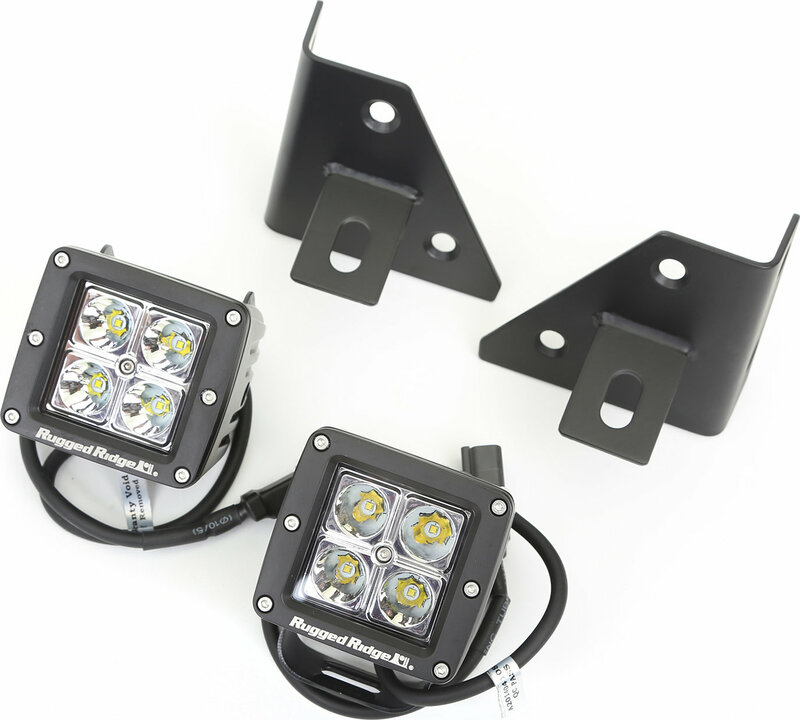 Looking for an alternate way to mount your lights during your off-roading adventures? This Rugged Ridge windshield bracket LED light kit allows you to quickly and easily mount your LED lights to your factory windshield hinges, creating two great spots for off-road lighting. 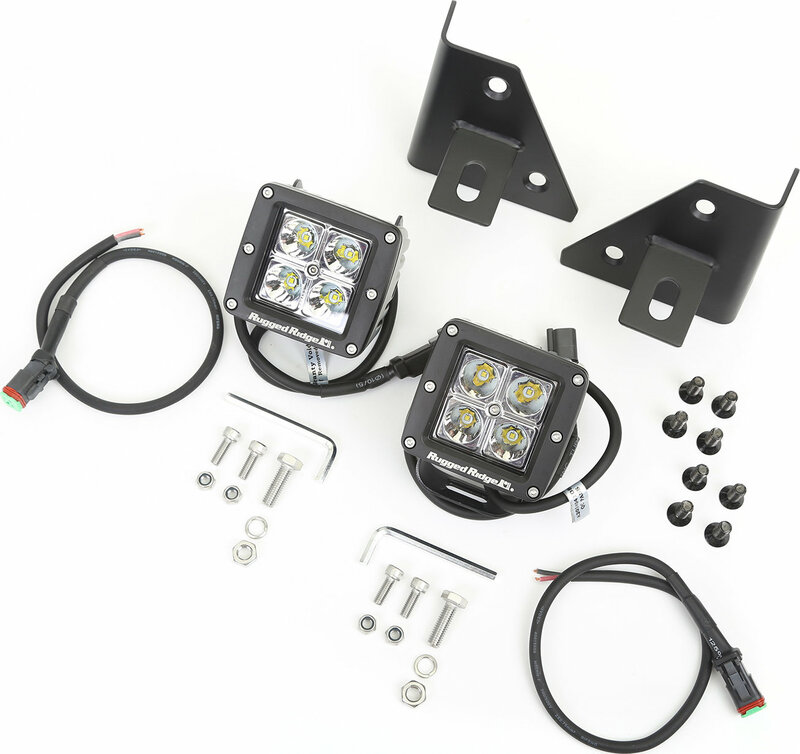 This easy to install kit includes two black powder coated windshield mounting brackets and two 3-inch square LED lights for optimal illumination on the trails. No drilling required.